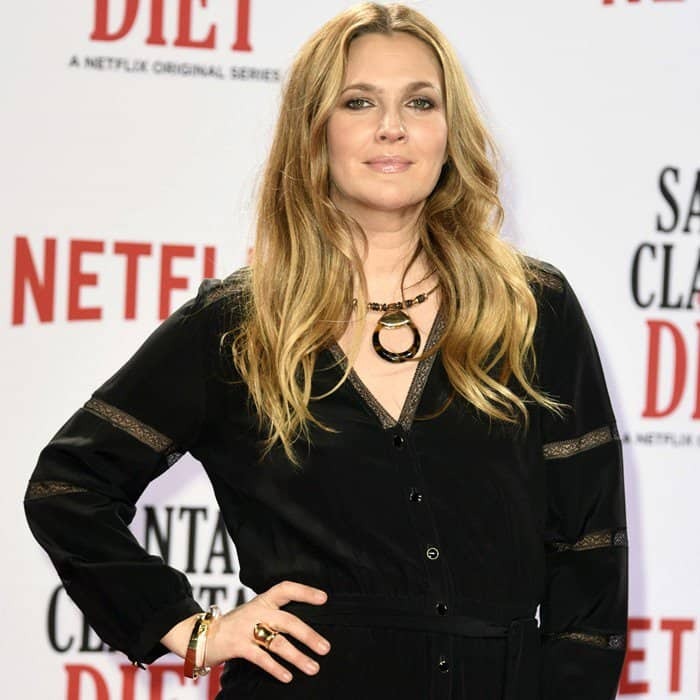 Drew Barrymore stepped out for the premiere of her new Netflix show ‘Santa Clarita Diet’ at ArcLight Cinemas Cinerama Dome on Wednesday night in Hollywood. She was joined by her co-stars Timothy Olyphant, Skyler Gisondo, Liv Hewson, Nathan Fillion, and Natalie Morales. The upcoming American horror-comedy web television series is created by Victor Fresco and has received lukewarm reviews. The 41-year-old actress showed off her slim figure in a cutout embellished bonded-jersey mini dress from Marni that you can buy at Net-A-Porter. It features voluminous sleeves and a fitted, defined waist. She styled the mini dress with a pair of towering ‘Angel’ platform heels from Gucci that we’ve previously spotted on Chloe Grace Moretz, Salma Hayek, and Elizabeth Olsen. 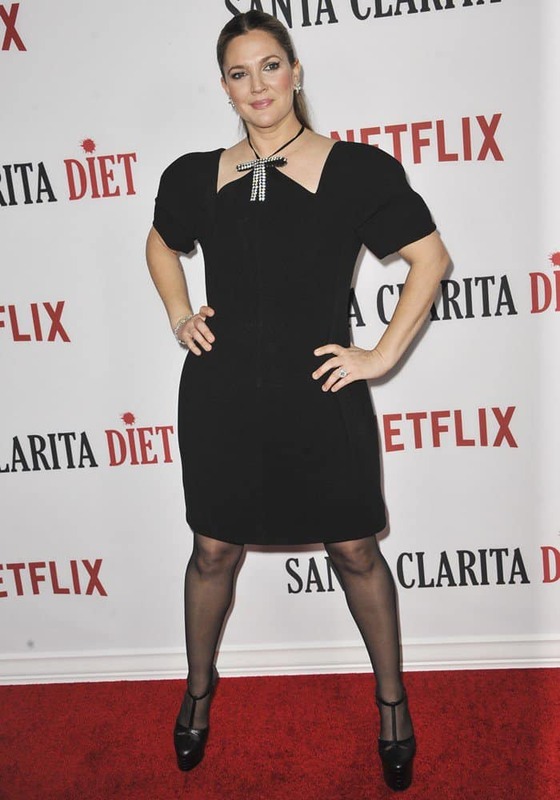 Last month, Drew sported a pair of knee-high boots to the premiere of her new Netflix series at CineStar in Berlin, Germany. She styled them with a black long sleeve v-neck jumpsuit from the Vanessa Seward Fall 2016 collection.